Los Angeles has received its formal go-ahead to host the 2028 Olympics, getting a thumbs-up from the International Olympic Committee’s evaluation commission. LIMA, Peru — Los Angeles has received its formal go-ahead to host the 2028 Olympics, getting a thumbs-up from the International Olympic Committee’s evaluation commission. 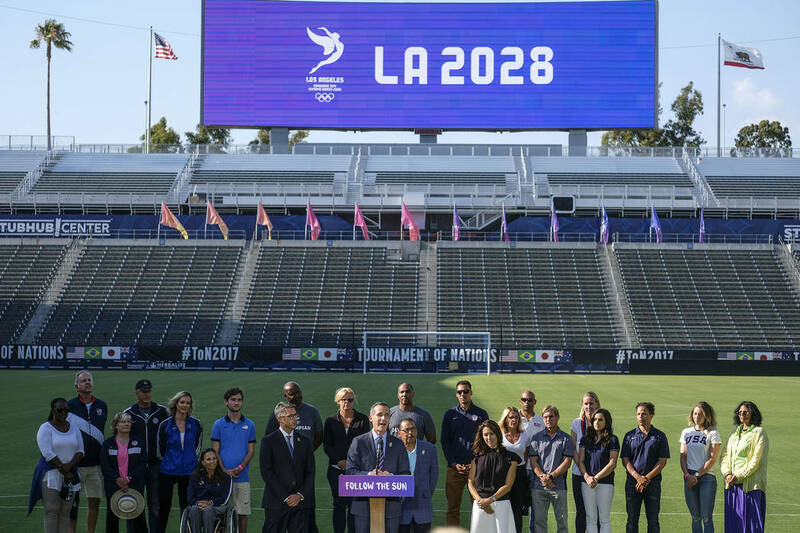 Los Angeles received concessions for agreeing to host four years later, including receiving a portion of the IOC’s surplus from the Olympics to fund youth sports programs in the city. Los Angeles will also receive up to $2 billion from the IOC, which is up to $300 million more than it would have gotten for 2024.